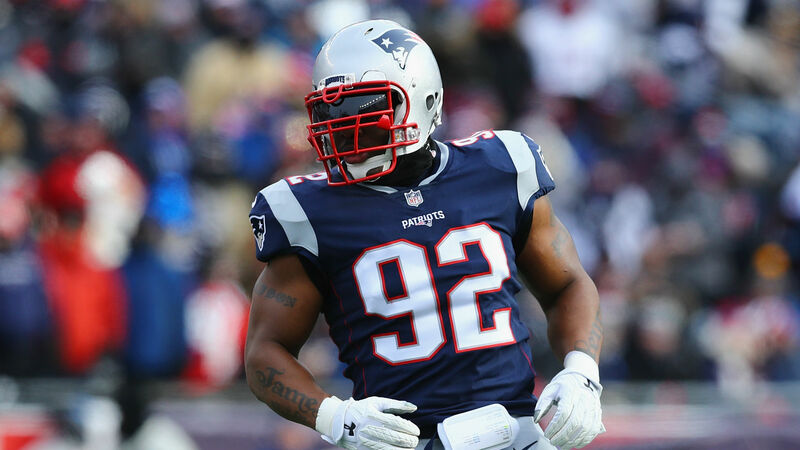 As every Steelers fan registering a pulse now knows, the Pittsburgh Steelers not only cut James Harrison before Christmas, but the linebacking legend signed with the arch enemy New England Patriots. In highly uncanny and very personal sense, this story confirms that all is normal in the world. And so it was that 24 hours after arriving to spend my first Christmas in the United States since 2000, I got a text from my cousin informing me that Steelers had cut James Harrison. Family comes first, (Dan Rooney would certainly agree) and so Steel Curtain Rising said nothing. In fact, the frustration over being unable to write was in fact a blessing in disguise. My first reaction was “This is wrong.” And had I written anything, aim would have been taken at Art Rooney II, Kevin Colbert and Mike Tomlin for such an unceremonious parting with a franchise legend while leaving the Daniel McCullers and Justin Hunters of the Steelers roster intact. Then of course the situation took another twist, with the Patriots signed Harrison. The move smacked of psychological warfare on the part of Bill Belichick, and only seemed to galvanize injustice of the situation. How could this be happening? Yet, because of both work and family obligations, Steel Curtain Rising remained silent, while the storm raged on the blogsphere. If journalism is the first draft of history, then blogging provides a rough draft of journalism. To blog is to react, and sometimes, quite frankly, its best for bloggers to keep their mouths shut, even if that silence is a product of circumstance rather than choice. And the James Harrison fiasco certainly qualifies as on of those situations. 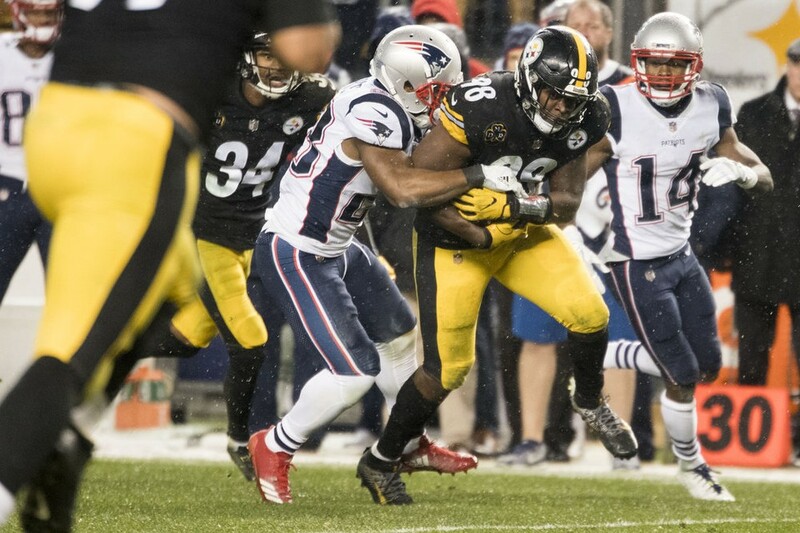 The Steelers locker room remain relatively silent regarding Harrison’s dismissal, but Debos former teammates unload on him the moment he inked his deal with the Patriots. 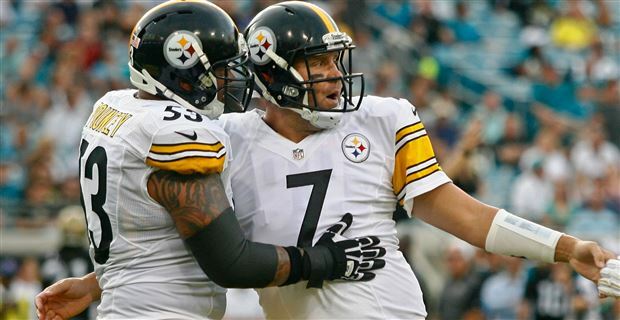 Maurkice Pouncey said he erased his legacy and spit in the Rooney’s face. Fellow linebackers Bud Dupree and Vince Williams called out their former teammate. Marcus Gilbert berated Harrison for not being more honest about forcing his own departure. The picture that James Harrison’s teammates painted was far different than that Steelers fans have come to know. Silverback was sleeping in meetings and walking out on his teammates on game days after learning he was to be inactive. Instead of serving as a Jerome Bettis-like mentor, Harrison was acted like a selfish brat. Yep. Sometimes the best favor a fate an offer a blogger is a chance NOT to write about a big story as it is breaking. A single word suffices to describe James Harrison’s parting with Pittsburgh: Disappointing. The image below drives that home poignantly. Fans forget, but the Steelers defense struggled mightily in during the first half of 2016 and was so bad that Mexican blogger Carlos Ortega went as far as to compare it to the 1988 Steelers defense (which finished last in the NFL). 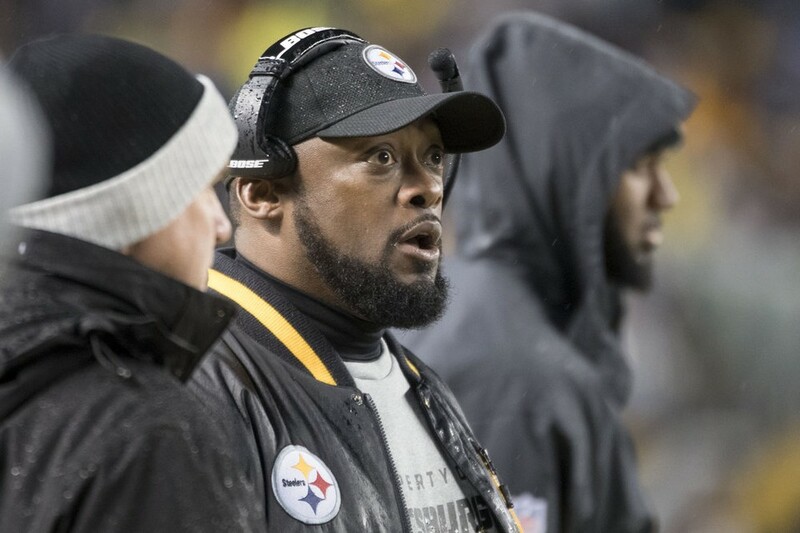 While the development of Artie Burns, Sean Davis and Javon Hargrave was critical you can pinpoint the turn around to Mike Tomlin’s decision to bench Jarvis Jones and start James Harrison following the disaster against Dallas. The Steelers playoff win over the Chiefs had ended with Harrison drawing a rare holding flag on the Chief’s 2 point conversion, setting up Sean Davis’ pass defense in the end zone. Hollywood couldn’t have scripted it better. Harrison still wanted to play, the Steelers wanted him back, and signed him to a two year deal complete with a 1 million dollar roster bonus. Yet, the Steelers also knew that their future at right outside linebacker wasn’t to be found in a 39 year old man. So they went out and drafted T.J. Watt. The stage seemed to be set for Jerome Bettis-Willie Parker in reverse, this time with the Super Bowl record setting undrafted rookie free agent mentoring the ballyhood first round draft pick. Except it didn’t happen that way. Jim Wexell and Dale Lolley signaled during training camp that Harrison might be on the roster bubble. But we now know that analogy falls flat. Harrison wasn’t the mentor, wasn’t the veteran gracefully aging into the football locker room equivalent of an elder statesman. No, instead James Harrison acted as a malcontent. Often times life requires you to give up something, to get something. 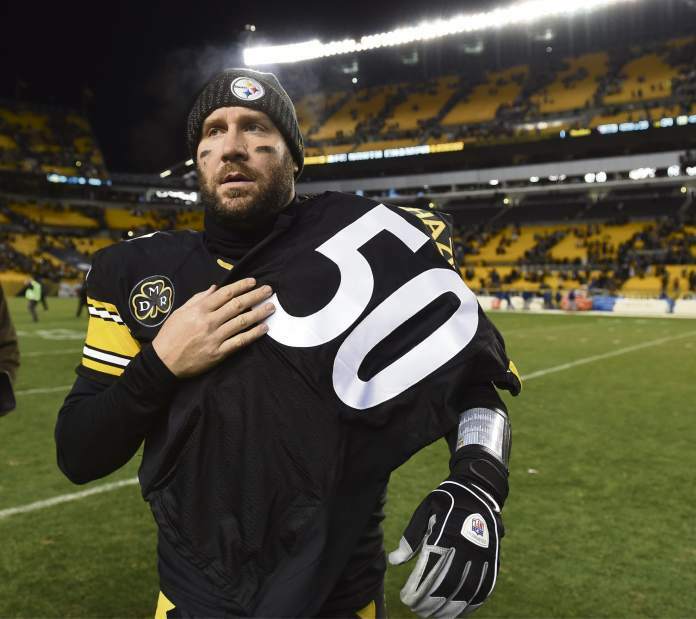 No Steelers fan who remembers Cliff Stoudt, Mark Malone or even Bubby Brister, Neil O’Donnell or Kordell Stewart slinging the ball wants to see Big Ben strike midnight. But the sight of Ben Roethlisberger and James Harrison hosting Lombardi Number 7 and announcing their Life’s Work would be poetic, beautiful and bittersweet. Ain’t gonna happen now. The question is, is anyone to blame? The NFL is a results driven business, and Mike Tomlin’s job is to make sure this kind of thing didn’t happen. But Harrison had to know the Steelers didn’t draft T.J. Watt to sit him. He had to see the development of Anthony Chickillo threatened his playing time. Joey Porter also made it clear, VERY early on that the rotation at OLB was over. 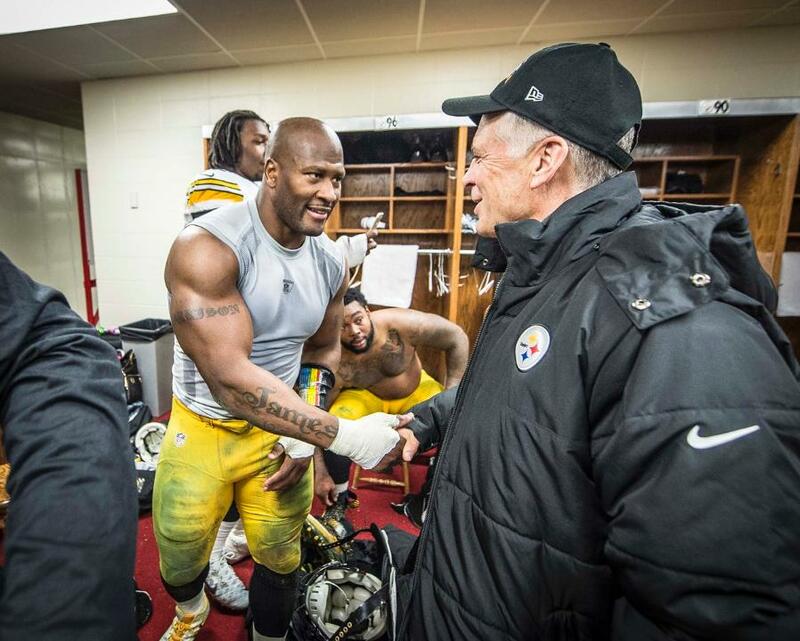 While James Harrison has always marched to his own drummer, he had never been a disruptive force in the locker room. And James Harrison has been in Pittsburgh long enough to know that the way to win the favor of Mike Tomlin wasn’t to mail it in. 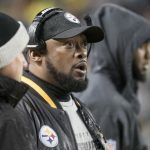 Its easy to say that “Tomlin suspended Rashard Mendenhall for no-showing at games when he was inactive, so he shouldn’t have had a double standard for Harrison.” Which is true, but in a season filled with Antonio Brown’s tantrums, Martavis Bryant demanding a trade, Ryan Shazier’s injury, would Tomlin really have been wise to create another distraction? As it was, the Harrison situation was kept under wraps until he openly complained in December. At the end of the day, James Harrison had a choice: He could embrace the Steelers way, and act as a mentor off the field and contribute on the field when called upon or he could pout and act like a spoiled brat. 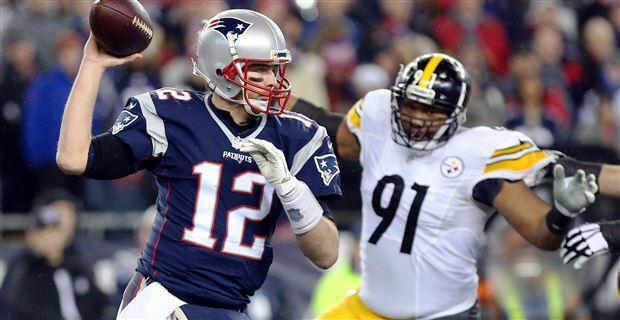 Like fellow Steeler-turned Patriot LeGarrette Blount, James Harrison deserted his teammates. James Harrison chose to conduct himself like a 16 year old who throws a tantrum when he can’t have the car keys to the car, even when he knows it’s the only way for Mom and Dad to get to work. It is sad. This never should have ended this way. But the person to blame for this fiasco is James Harrison plain and simple. La atrapada no sobrevivió al piso. 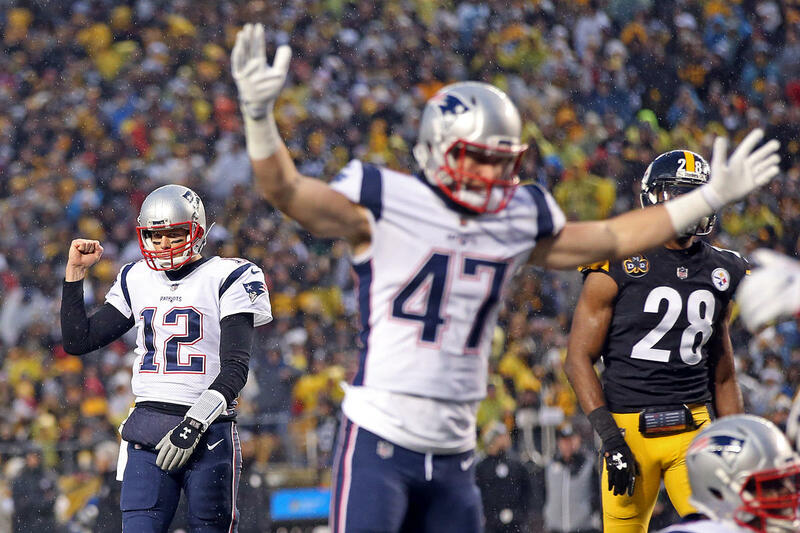 Los Steelers sobrevivirán a los Pats? 2 – una jugada válida. Lo segundo es lo que corresponde. Convalidar una jugada legal. Lo primero es una aberración. He estado pidiendo (y muchos acereros aún piden) que me den un partido como ganado a través de hacer trampa. Y ojo que no soy un santurrón que se horroriza cuando los árbitros tienen a bien equivocarse a nuestro favor. No. Pero en realidad, y si bien se mira, estábamos pidiendo que convaliden una jugada fuera de la regla. Porque fue pase de Ben Roethlisberger a Jesse James fue, lamentablemente, incompleto. Porque no completó el proceso de recepción. Lo de atravesar el plano/fin de la jugada vale para un corredor, cosa que James nunca fue. Nunca se constituyó en un corredor. Entonces siendo receptor y no corredor, si tiene control de la pelota, este (el control) tiene que continuar si la pelota golpea el piso. La famosa frase “tiene que sobrevivir al piso”. En definitiva, se cobró acorde a la regla. Que la regla es una calamidad, seguro. Pero está vigente y es así y no otra cosa. Tampoco vale, como leí por ahí, poner otros ejemplos de otras atrapadas en donde no se cumplió con la regla y se convalidó incorrectamente como pase completo. Errores arbitrales pasados no cambian la regla que nos afecta ahora. Que los Pats se vean frecuentemente beneficiados, como argumentó Ed Bouchette en el Pittsburgh Post-Gazette, tampoco permite que podamos pedir: “Eh! Cobren esto que no fue, porque a los Pats se lo cobrarían!! !” “Fue TD porque casi la atrapó! Le faltó poquito! Asíque sea “gauchito” Sr. Corrente, y denos el TD así ganamos el partido! !” Ridículo. Habrá que cambiar esa regla. Eso es lo que dolorosamente aprendí esta semana: La regla de la recepción. Yo también pensé o quise abonar la teoría conspirativa según la cual todo es para los Pats y nada para el resto. Pero es un sinsentido porque se cobró lo que dice la regla. Esta es mi opinión, luego de que se me disipó la frustración. Es lo que entendí luego de escuchar y leer distintas opiniones. Sin embargo lo que ahora estoy concluyendo, es que lo que más frustración nos dejó fue el blooper de Ben, dos jugadas más adelante. 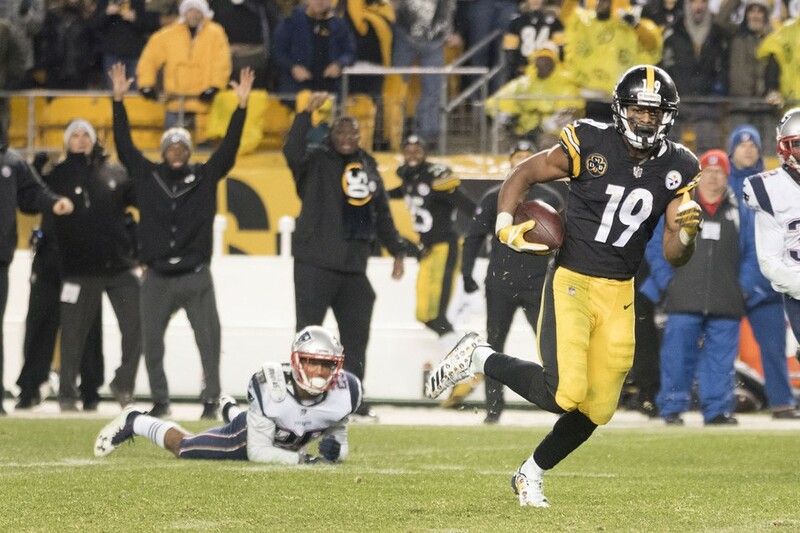 La no-atrapada de James sería nada más que una anécdota si Big Ben hubiese picado el ovoide en 3er down, y ni qué hablar si hubiese completado el pase a Eli Rogers y allí mismo hubiésemos enterrado a los Pats, en cuestión de unos cuantos segundos. Pero no fue lo que sucedió y ahora el equipo debe lidiar con ello. Los caminos son dos: o salen fortalecidos de la adversidad o sucumben ante la asunción de la incapacidad propia e irremontable. Yo creo que el camino será el primero. Porque ya han demostrado resiliencia en diferentes momentos de la temporada. 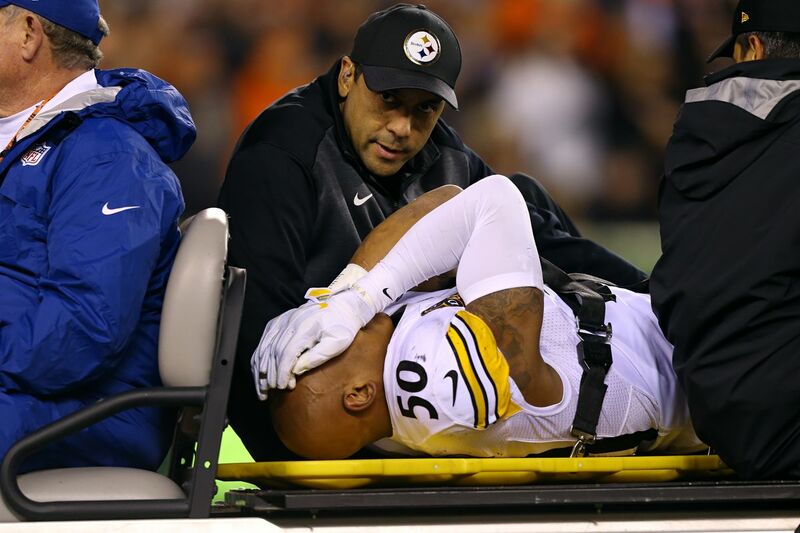 Como sucedió en la segunda mitad del juego contra Bengals, luego de la grave lesión de Ryan Shazier. You’ll have to forgive me for my sour mood, but I haven’t been this angry after a Steelers loss in a very long time. In fact, the last time I was angry–really angry–after a Steelers loss, Pittsburgh wasn’t even playing. I’m talking about the Ryan Succup missed field goal at the end of regulation during the Chiefs/Chargers 2013 regular season finale that, had it been made, would have put Pittsburgh into the playoffs with an 8-8 record. If I had to think of another time I was this angry, we have to go back almost 15 years, to the moments after Tommy Maddox‘s Steelers lost in overtime to the Tennessee Titans in the divisional round of the 2002 playoffs, thanks mostly to a running into the kicker penalty on Steelers cornerback Dwayne Washington, who ran into Joe Nedney, after Nedney missed a short field goal, thus affording the kicker with the great acting skills another shot at sticking the dagger into the heart of Steeler Nation (he did). After the game Nedney himself even joked about his “Oscar winning performance” if memory serves. 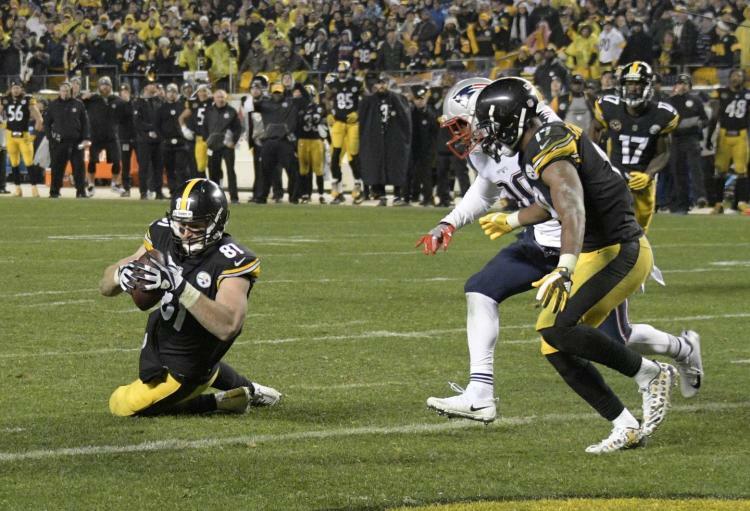 Anyway, in-case you’ve been living under a rock, the source of my current anger is the Ben Roethlisberger to Jesse James 10-yard touchdown catch with 28 seconds left that would have clinched a bye for the Steelers, a touchdown that was ultimately overturned due to the NFL’s ridiculous idea of what a catch is. By the letter of the law, yes, yes it was. Is the catch rule a stupid one that totally insults the intelligence of anyone with two good eyes? But there’s nothing you can do about it. Fortunately, however, unlike those previous anger-inducing moments I referenced, the Steelers can actually step up and do something about this clear miscarriage of justice. The 27-24 loss to the Patriots, Sunday night, didn’t end Pittsburgh’s season; it merely dropped the team to 11-3 and took the control of the number one seed out its hands and placed it firmly into the Patriots’ with just two games left. But the Steelers still control their own fate with regards to the number two seed and a bye, which, while not the perfect scenario, isn’t exactly chopped liver. If the Patriots lose one game, while Pittsburgh wins two, the black and gold could still get the top seed in the AFC playoffs. And wouldn’t that be delicious? You lose-out on the head-to-head tiebreaker to both the Patriots and the Jaguars, who came into Heinz Field in Week 5 and had their way in a 30-9 beat-down, but it doesn’t matter, as you some how finish ahead of both in the win/loss column. I would relish that, because I would welcome the opportunity to see both or either team have to come crawling back to loud and crazy Heinz Field for a playoff game, which, believe me, Heinz Field in a playoff setting is so much different than it is in the regular season. But regardless of how the playoff seeding ultimately shakes out, the Steelers will actually be in the dance, and that angry feeling I have right now? That won’t last an entire offseason, and there’s still a chance for redemption. The Steelers 2017 story isn’t over yet, and the final chapter can still go many different ways. Taken from the grade book of a teacher who has just watched his students make a valiant effort only to fall short – an all perhaps because of an idiotic administrative error – here is the Pittsburgh Steelers Report Card for the loss to the Patriots at Heinz Field. If you have said in January the Steelers will go into a game against the Patriots without Shazier, Haden lose Brown early in the game and start Cam Sutton and only lose by 3 no one would have believed you. So the Steelers coaching staff deserves credit for making this game so competitive. Yet the key variable in grading isn’t competitiveness, but in winning the competitions and here the Steelers coaches are open to criticism. Todd Haley lost arguable the best wide receiver in football, and managed to not only keep the offense scoring, but to do so in a way that kept the ball out of Tom Brady’s hands. Still, the Steelers couldn’t kill the clock late in the 4th quarter when 2 first downs probably end the game. 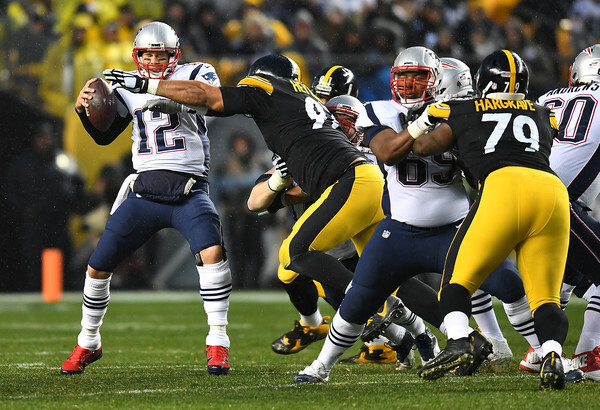 One defense, the Steelers knew they were playing a weak hand coming into the game, and while Tom Brady ultimately prevailed, he didn’t have the kind of field day he did back during the AFC Champioship game. Nonetheless, when Brady to Gronk got going, Keith Butler didn’t attempt an adjustment, and that hurt the team. Finally, that brings us to Mike Tomlin. He has led this time through a lot of adversity this season, and to be honest the Steelers didn’t blink when they lost Antonio Brown, and other members of the team immediately stepped up. And while the result might have been disappointing, Tomlin WAS right to go for the touchdown at the end. This is Tomlin being Tomlin a coach who (rarely) lives in his fears, and when the game is on the line, Tomlin isn’t going to shy away from risk. The Steelers were missing another key, high profile, high salary player, but no one was talking about the impact of his absence either before, during or after the game. In fact, with Antonio Brown out, the Steelers needed to run the ball better than they have all season long, and they did so, particularly at key moments, and often times this was helped but Chris Hubbard pulling and leading the way for Le’Veon Bell and that’s why Chris Hubbard wins the Unsung Hero Award for the Steelers loss to the Patriots at Heinz Field.